Sarat Chandra Chattopadhyay’s classic Bengali novel ‘Devdas’, published as early as 1917, has served as the inspiration for several films made in different languages cross the country. The films which have been directly adapted from the novel have largely remained faithful to the original content of the novel. However, Anurag Kashyap decided to turn the story on its head and bring it to the audience in a contemporary form. Though he used references from the novel, the way he presented the story was extremely innovative. The film shocked a few and pleased many. As it completes ten years of its release today, here are ten lesser known facts about the film. 1. Anurag Kashyap had admitted in an interview that he had seen the three Devdas films (Hindi) just once and he has never been a fan of the novel written by Sarat Chandra Chattopadhyay that is considered to be a classic by many. He further stated that ‘Devdas’ was an adjective through which one had begun to describe doomed lovers and that is how he wanted to interpret the story. Since he was no big fan of Devdas himself, he decided to co-write the film with Vikramaditya Motwane, who revered the films and the original literature they were based on. 2. Abhay Deol has been credited with providing the concept for the film. Once, Abhay was narrating a particular incident that one of his friends had gone through to Anurag and told him how it resembled something Devdas, the character, went through in his life. The conversation struck something in Anurag’s head and he discussed the idea of making a contemporary version of Devdas that would be in the present times and would be a reflection of the kind of things the youth goes through while they are in love. 3. Siddharth Roy Kapur, who was then the CEO of UTV Motion Pictures, had revealed in an interview that when Anurag narrated the script of ‘Dev D’ to him and his team, the entire office was divided into halves – there was one section of people which loved the script and believed it could be a game changer, the rest thought it would be a disaster. 4. Dev D had a bunch of cameos by people who were not very well-known at that time. Nawazuddin Siddiqui appeared as a ‘bandmaster’/singer in the song ‘Emosanal Attyachar’. Vikas Bahl, who later went on to direct films like ‘Chillar Party’, ‘Queen’ and ‘Shaandaar’ and has been in the news for an alleged sexual harassment case in the recent past, was working with UTV and was a part of the production team. He makes a blink-and-you-miss appearance as the man who stares at Abhay while he is travelling in a metro in Delhi. 5. The music of ‘Dev D’ would always be regarded as something that brought about a shift in the soundscape of Hindi cinema. The 18-track album fetched composer Amit Trivedi a national award among several other honours. While ‘Dev D’ was Amit’s second release after ‘Aamir’ (2008), this was the first he had started working on. The composer had finished recording six songs when the film hit a roadblock and was revived later. In the interim, Anurag asked him to work on ‘Aamir’ which he was co-producing and it turned out to be his first release. 6. ‘Dev D’ is also wrongfully considered to be Mahie Gill’s first film. Though it was her first release, the actress had earlier shot for another film called ‘Pal Pal Dil Ke Ssaat’ (yes, that’s how it is spelt!) way back in 2003. She was paired opposite former cricketer Ajay Jadeja and was credited with her original name Rimpy Gill in the film. The film released shortly after ‘Dev D’ in the same year. 7. The whacky ‘Emosanal Attyachar’ is one of the most popular songs from the album. The song is credited to Band Master Rangila and Rasila. However, several years after the film released, Amit Trivedi revealed that the song was actually sung by lyricist Amitabh Bhattacharya and him. As they sung the track in a gimmicky, modulated voice, they did not want their names to appear on the credits. 8. Abhay Deol trudged Anurag Kashyap to set the film in Las Vegas as he felt the overall vibe of the city would complement a story of this nature. However, Anurag was sure about the fact that he wanted the film to be set in North India, a milieu he was familiar with. He was also clear about not setting the story in West Bengal like the original Devdas films had. 9. ‘Dev D’ was produced by UTV’s short-lived motion picture brand UTV Spotboy that was established to power smaller films produced by the banner. The banner was flagged off in 2007 and produced some memorable films like ‘Aamir’, ‘Welcome To Sajjanpur’, ‘No One Killed Jessica’ and ‘Paan Singh Tomar’ during the few years it lasted for. 10. Director Danny Boyle (‘Slumdog Millionaire’, ‘127 Hours’) gets a ‘special thanks’ mention in the opening credits. Anurag stated in an interview that Danny’s films have influenced him in a huge way and his first film ‘Paanch’ (unreleased) was influenced by the Hollywood director’s early films like ‘Trainspotting’, ‘Shallow Grave’ and ‘A Life Less Ordinary’. He consulted Danny about shooting certain portions in the film. 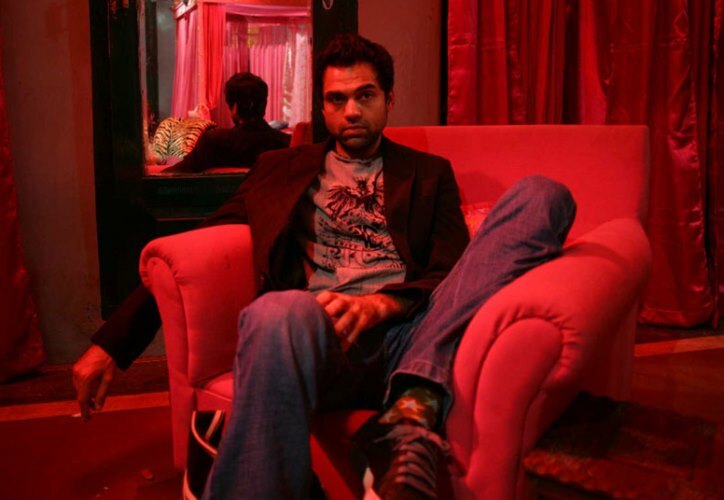 Danny recommended him to use a particular camera to shoot certain scenes where they show Dev (Abhay Deol) in an inebriated state and losing a sense of his surroundings.